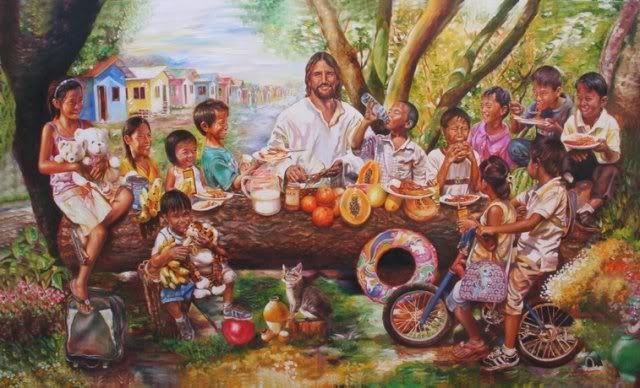 One great Filipino painter caught the attention of many because of his very unique depiction of Filipino life and street children with Jesus Christ as the center of each masterpiece. Joey Velasco has moved us with his very intricate details and realistic depiction of his subjects. His legacy continues to live on after his untimely death in July 2010 at the age of 43, suffering from a kidney disease. Velasco's "Hapag ng Pag-asa" became a significant work because of his interpretation of Leonardo da Vinci's "The Last Supper." 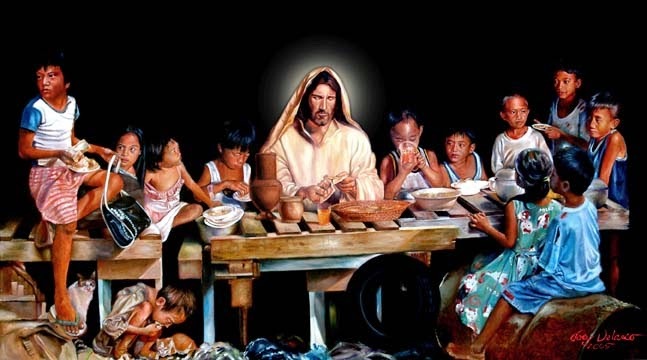 Instead of including Jesus' 12 apostles, the painter showed 12 street children. These children are not fictional. Before Velasco passed away, he continued to support them by securing them a shelter at Gawad Kalinga village. After all these years, where are the children that Velasco showed compassion for and helped? How is life treating Itok, Nene, Joyce, Tinay, Emong, Onse, Buknoy, Michael, Dodoy, Jun and Roselle, who were all given a chance to improve their living condition? Unfortunately, one has passed away last year due to complications at child bearing at the age of 18. It has been nine years since the painting was released and to date, it has become the most reproduced contemporary art by a Filipino. I first learned about Joey Velasco after reading some feature articles about him in newspapers and acquiring a calendar with images of his beautiful paintings some years ago. Too bad that I wasn't able to meet him in person. I really wanted to meet and interview him. I never expected that his life would be cut short. A documentary is made to pay tribute to Joey Velasco's life and works and to follow the street children he once cared for. 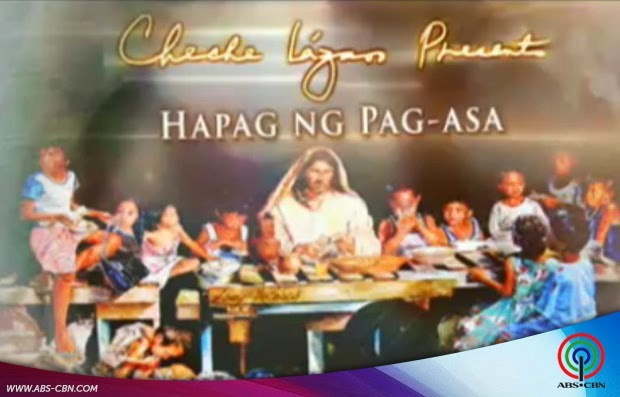 In celebration of Easter Sunday 2014, "Cheche Lazaro Presents: Hapag ng Pag-asa" will air on ABS-CBN's Sunday's Best on April 20, 2014 at 10pm.